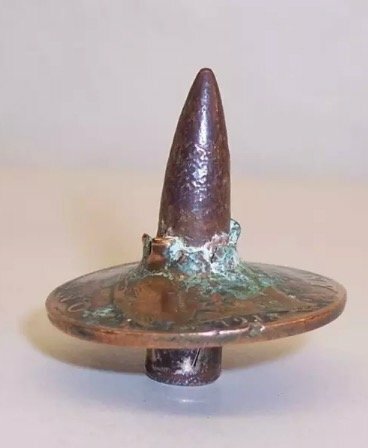 Over the last few years I have seen on a well known auction site a lot of dug relics with bullets imbedded in then IE bullets in buttons, watches and coins. Undoubtedly many men's lives were saved by these items however what are the chances of finding so many relics in the ground. Is it fair to say that maybe someone is knocking these out in a garden shed and selling them. More likely a Chinese laundry (if any still exist). If the man's life had been saved then wouldn't the object have stayed with him? The only bullets that stuff carried in pockets or on clothing would protect you from are spent ones at extreme range. At normal fighting ranges a standard-calibre bullet would penetrate several family bibles; a cigarette case, watch or coin would give no detectable protection - in fact. secondary projectiles driven into the body would usually aggravate wounds. I really think sites such as EBAY should look to see if the same person (persons) are putting these relics up for sale and maybe ask them a few questions or at least tell them to re-word the so called relics as newly made .and not put up for sale as WW1 relics. I suspect it's a group of Eastern bloc sellers with a few fellow sellers. Look at the WW2 German medals and badges commonly known as repro but sold to people who don't know any better. My local museum has a clip from a SMLE, the casing of one round has been pierced by a Turkish bullet. It was sent home from Gallipoli by a local man serving with the RWF, in the accompanying letter he described how it saved his life. He should have kept it with him as he was killed a couple of months later. Is it fair to say that maybe someone is knocking these out in a garden shed and selling them. Currently selling close to £40 a pop! Its uncanny how many of bullets fired by the Germans end up going through the middle of pennies. Its as if someone was putting them there on purpose.